The work of the Faith2Share network is supported by the Faith to Share Trust which is registered in England and Wales as a charity (1132707). The international board of trustees work closely with the Faith to Share executive and leaders of all member agencies to ensure that the network meets its statutory obligations and remains focused on its vision, mission and values. 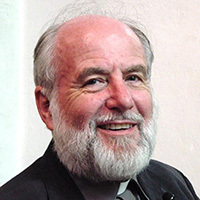 Bob Wilkes has served since his mid 20s as a Minister of the Church of England, working in the UK in Liverpool (twice) and at Birmingham Cathedral as Dean. For fourteen years in between those ministries, he served with the Church Mission Society as a Mission Partner in Pakistan and as Regional Director for the Middle East and Central Asia. He is currently Vicar of St Michael at the North Gate Church in central Oxford, and the City Rector of Oxford. (The photo is on the top of St Michael’s Saxon Tower.) He is married to Sheila, and they have four children. Bob has always been involved with mission partnership issues in urban Britain, and across the Middle East and Central Asia. He was a close colleague with Mark Oxbrow during his time with CMS. 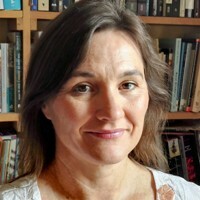 Carol was on the teaching staff at Redcliffe College for several years and together with her husband Andy developed and facilitated undergraduate and postgraduate teaching on justice, advocacy and reconciliation issues in mission. 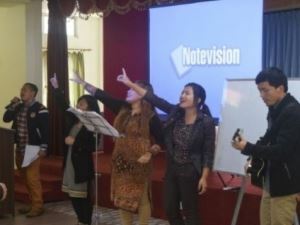 In partnership with International Justice Mission Carol and Andy developed a teaching manual on biblical justice which has been piloted in India. She is co-founder of the JusTice initiative and is a freelance speaker, writer and mentor. Having spent her childhood in Brazil and worked as a Latin Link partner in Bolivia, Carol has a special interest in missional movements within and from Latin America. Carol lives in Gloucester with Andy and their four children. Jojie Wong has served as a missions mobilizer for OMF in the Philippines since 2000. Her home and sending church is the Davao Evangelical Church where she served as full-time worker overseeing the young professionals ministry. 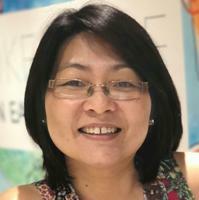 She has a Masters in Biblical Studies from Singapore Bible College where she is now in the Doctor of Ministry programme. She also has an MA in Contemporary Issues in Global Missions from Redcliffe College, UK. Her ministry is in vision casting for the Philippine churches and encouraging engagement in cross cultural mission. She also oversees the short term missions program of OMF. She mentors those who have a burden for missions, provides consultation to churches on mission policies and trains and mentors those interested in getting involved in missions. 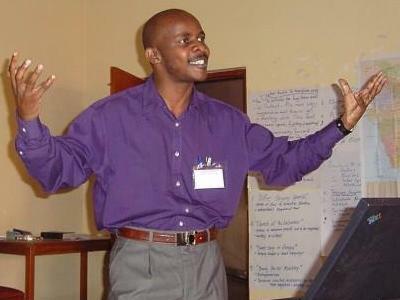 Jojie is a facilitator for OMF International’s in-house training, specifically on Partnership Development and Mobilization and part of the international leadership team for OMF’s Training and Development. She is the co-author of the biographical “To the Headhunters of Sierra Madre”, author of several children’s books and a contributor to two devotional series. 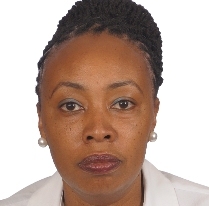 Lucy serves in Mission Support Services as the Head of Operations at CMS-Africa, a Faith2Share member agency, based in Nairobi, Kenya. She has served with CMS-Africa for the last ten years. In her role with CMS- Africa she has seen the amazing impact of community transformation through wholistic teaching in biblical worldview. At work today in over seven countries across Africa and five continents of the world, CMS-Africa strives to renew people’s mindsets and transform communities by working through the church. In addition, Lucy also leads the Women’s Programme that seeks to disciple and empower women in disadvantaged situations/ environments. She has a passion to see women and young girls uplifted. Lucy has worked both in the corporate and third sectors, including Cadbury’s, Safaricom (leading mobile provider in Kenya) and with Lifespring Chapel where she was the Office Administrator and Director for Children’s Ministry. She is married to Philip Ochieng, and they have two children. John Wesley is the General Secretary of the Indian Evangelical Mission (IEM) one of the oldest indigenous Indian mission agencies founded in 1965 with the support of the Evangelical Fellowship of India. John Wesley was born into an Anglican family in India's Tamil Nadu State. Called into ministry at a young age, Wesley graduated from Allahabad Bible Seminary and earned his Bachelor of Divinity degree from Serampore College. 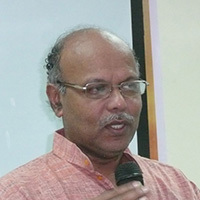 Later ordained by the Methodist Church of India, Wesley has served with Urban India Ministries, Operation Mobilization, the Evangelical Church of India, and Grace To India. For the last 26 years, Wesley has served with Indian Evangelical Mission, now as General Secretary. He is married to Mercy and has three sons. Ram Prasad Shestha is the Director of the National Mission Commission of Nepal, a member agency of Faith2Share which serves the nation of Nepal in the name of Jesus through partnership with local churches in Nepal. Ram graduated with an M.Div degree from the Graduate School of Leadership in the Philippines and then studied at Redcliffe College, UK, where he completed BA and MA degrees in Intercultural Studies, awarded by Gloucester University, UK. In addition to his responsibilities with NMCN he serves as Board Director for the International Nepal Fellowship in Australia, and as a board member for other national NGOs. 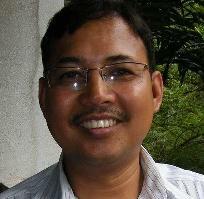 Ram is an Elder and Mission Coordinator of Koinonia Patan Church, Kathmandu,Nepal. Berhe is an accountant with experience of working for mission agencies and a number of other charities including CMS, Amnesty International, the Royal British Legion and EveryChild. He currently works for Santander UK in London. 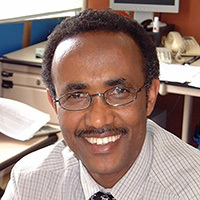 Berhe originates from Ethiopia and is part of the leadership team of an Ethiopian community church in London. As well as accountancy and church leadership, Berhe also enjoys music and writes Christian songs.